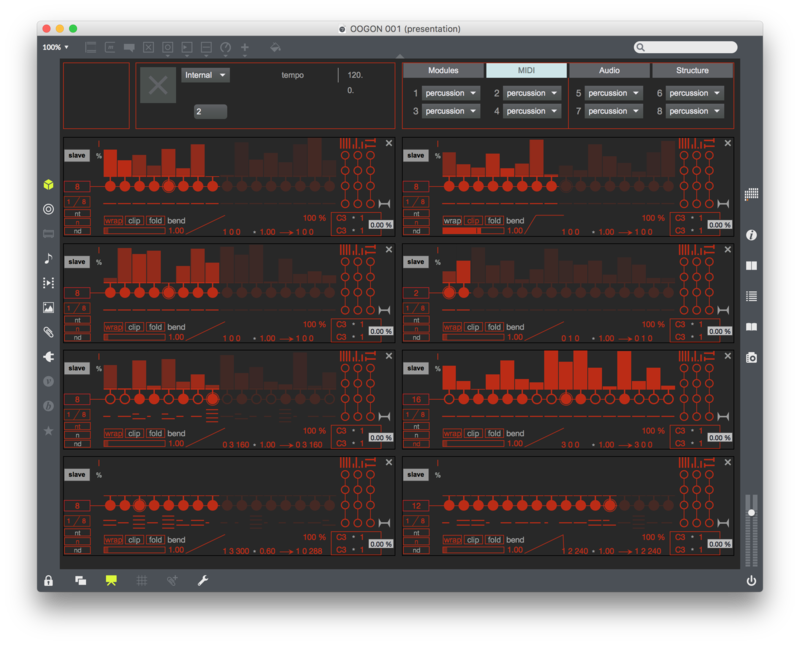 One year ago we launched one of our most successful line of Max For Live devices: OOG! OOG means “out of grid” and if you follow us maybe you already know this story (here, and here). OOGON, the thing up there in this post, is where OOG started. OOGON was a very important project here at K-Devices, and funny enough, it will never be released. Three years ago, I started to think about step sequencing. I love to write music step by step (EXT, Drumk, Herse, AutoBeat, and others exist for a reason! ), but there is something in step sequencers that started… boring me. What I thought it was not evolving enough, in the step sequencer “history”, was finally the sequence itself, as time handling. I mean, to edit events moment after moment was still great, but the fact that all steps have the same length, was no longer cool; that was my opinion. Also to double or divide a time resolution as main option, in the current music context, was just not enough. I wanted to set different lengths for each step, arbitrarily, or thanks to complex random functions, and I wanted to bend and warp sequences. Why I ask for instability? Well I suppose cause I mainly compose in the micro time domain, and I played IDM things in the past, so time is mainly an irregular/elastic flux in my experience. Also if I like do beats and grooves for sure, I always look for some way to make them… unstable! Please note: elasticity can also be subtle, a micro variation in a solid straight pattern. Then OOG dynamics can be really useful also in classic beat-making. With this wish list in mind, in 2016 I started developing a stand alone application, that thanks to MIDI and Ableton Link had to be able to talk with every workflow. OOGON was a eight tracks thing, where for each slot user was able to load/choose modules designed for specific needs: mono sequencer, percussions sequencer, modulator, triggers. At the end, functions was there. 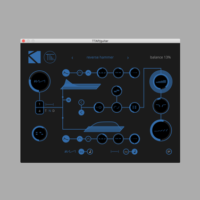 Elasticity, instability, hierarchy between tracks, audio-like (since audio-driven engines) sequences manipulations. It was fun! I was able to do things that other tools (at least in my knowledge) did not let me do! My idea was to build a powerful and innovative MIDI events generation station, but finally, beyond my enthusiasm for the new features, I realized that in this shape, it was a huge tool, hardly usable, not friendly at all. I took the specs of different modules, and I decided to develop them as single Max For Live devices, so user would be able to insert these specific features in their projects, in a more controllable/comfortable way, and I think finally this was a good intuition. Next week, a new OOG thing will be released, and it will be the final one for this series. This does not mean we drop this concept, so important now for K-Devices identity: we’ll continuously improve the existing devices, and you know what? I also want to say, but this is a secret, that these tools will arrive on other platforms too, during 2019. So here’s the story, and the reasons, that led me to develop this series of tools. Did you liked this story? Feel free to share your thoughts/feedbacks, we really care!